Horticulture is the EU’s fastest growing agricultural sector after topping European production gains in recent years. European and UK fruit and veg farms grew in output by 15 per cent between 2014 and 2015, which is the latest data available for the European Commission’s Agriculture and Rural Development Department. Horticultural workers were also the most productive, with income per labour unit increasing by 12 per cent, making horticulture one of the most profitable sectors. According to the commission: “Between 2014 and 2015, an increase in output of more than 10 per cent was seen in the farms that specialised in horticulture, wine and permanent crops, while farms specialised in field-crops showed a moderate increase. 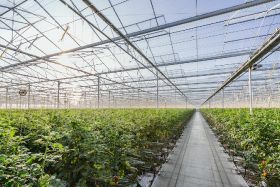 The report also said the proportion of paid labour on a farm is highest in horticulture holdings “reflecting the horticulture sector’s typical recourse to seasonal workers”. Horticulture is also able to boast the highest return on assets, according to the report. Return on assets (ROA) measures the effectiveness of a company’s assets in generating income. Dairy was one of the worst performing sectors, suffering a decrease in output and a significant decrease in the farm net added value per AWU, at 17 per cent.